Carla Bruni-Sarkozy and The Global Fund to Fight AIDS, Tuberculosis and Malaria are proud to announce that singer/songwriter Paul McCartney is throwing his support behind the BORN HIV FREE campaign. His performance this weekend at Hard Rock Calling 2010 will be exclusively available through the BORN HIV FREE YouTube channel around 8:30pm GMT (2:30pm E.T) on Sunday, June 27. McCartney’s concert from London’s Hyde Park will be the first musical performance streamed globally from Europe on YouTube. It will remain in the BORN HIV FREE YouTube channel for a month after the show, giving people who want to watch it again or view it for the first time a chance to do so. Visitors to the channel will also be able to learn more about Born HIV FREE and sign up to show their support for the campaign. Paul has appeared in Hyde Park only twice before – the first time was when he opened and closed 2005’s Live 8 concert and the second when he came on stage as a surprise guest last summer at Neil Young’s show to perform The Beatles anthem ‘A Day In The Life’.This concert is part of Paul’s all new ‘Up and Coming Tour’, which started in the US earlier this year. The Hyde Park performance will mark the end of a successful run of shows in the UK and Ireland which saw Paul headline the Isle Of Wight Festival and perform his first ever UK standalone stadium show at Scotland’s legendary Hampden Park Stadium. 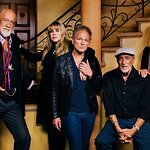 In keeping with his headline-making special concerts over the last few years, this all new tour has already broken ticket selling records around the world and has seen the iconic star and his band play in unique venues, places and locations, including new cities where he has never played before and familiar markets he has not visited for a while. The Hyde Park concert will feature a typically diverse set list, drawing on more than two hours worth of selections spanning the catalogues of The Beatles, Wings and McCartney’s solo career – including tracks from The Fireman’s 2008 album ‘Electric Arguments’. The BORN HIV FREE campaign was created to mobilize public support for the work of The Global Fund and for a world where no child is born with HIV by 2015. The campaign has a contemporary aesthetic, bringing together well known artists to create a bold and innovative body of work that is both upbeat and optimistic in tone. The call for action to virtually eliminate the transmission of HIV from mother to child by 2015, [originally called for by UNAIDS and supported by TGF & all its partners] is entirely realizable. The campaign’s main message is that “We can put a stop to this in the next five years. A world where all children are BORN HIV FREE is now possible”. 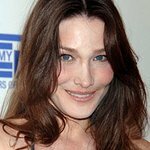 With the announcement of her Ambassadorship for the Global Fund for the Protection of Women and Children Against AIDS in December 2008, Carla Bruni-Sarkozy declared that one of the ways she wanted to act as an ambassador was to engage the world of art, culture, fashion and entertainment for the cause of ensuring that virtually all children are BORN HIV FREE. The campaign grew out of this commitment and has expanded to involve world renowned artists including Amy Winehouse, U2, Jean-Paul Gaultier and several others throughout these creative fields. "I want to thank Paul McCartney for donating tonight’s performance for the Born HIV Free campaign," says Carla Bruni-Sarkozy regarding the “Hard Rock Calling” concert . “Through this live stream, we share our common belief in a world where all children can be born free from HIV”. Paul McCartney’s concert and support will help The Global Fund increase public awareness about the BORN HIV FREE campaign, encourage citizens to sign-up and enable donor countries to continue increased investments in The Global Fund so that an HIV-free generation can become a reality by the campaign year goal of 2015. YouTube, the video-sharing website, has vastly extended the reach of the BORN HIV FREE campaign by providing an easily accessible platform allowing millions of people to see the Paul McCartney concert. Find out more about the campaign here, and watch the videos on www.youtube.com/bornhivfree.